Barry left us unexpectedly on June 8, 2010. In his 25 years of life, he brought so many wonderful memories to people around him. A memorial service will be held on Thursday June 17 at 4:30pm, in the Gold Room of the Stanford Faculty Club. Please RSVP by completing the form here. Directions to the Stanford Faculty Club can be found here. If you would like to post an article here to share with us your memories about Barry, please follow the instructions below. and include the text and images (up to 10MB in size) in the body of the email. Your messages will help the family know Barry better as a beloved friend, a treasured classmate, and a trusted colleague. On this day, our thoughts are with you, and we are sharing your grief. good he brought into our lives. Barry was born on May 21, 1985 in Kaohsiung, Taiwan. He was lively and energetic right from the start. Robots and locomotive toys were his favourite childhood playthings. He grew up surrounded by his grandparents and cousins, and was the pride and joy of his parents. In 1996, after finishing Grade Six in Taiwan, Barry immigrated to Vancouver, Canada with his family, where he became immersed in western culture. This broadened his horizons, but at the same time he retained the characteristics of frugality and modesty of the east. In high school Barry enjoyed basketball, martial arts, and skiing. He read extensively, Chinese kung fu novels and books on history, and eagerly explored the differences between eastern and western philosophy. While Barry was always proud of being Chinese, he also acquired strengths from the independence accorded to youth in the west. In 2003, Barry was accepted into the Department of Engineering Physics at the University of British Columbia, and was on track to fulfilling his lifelong dream to enter the world of robotics. 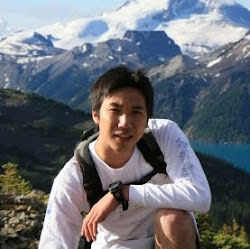 During his college years, Barry did co-op work terms at Vancouver Children's Hospital (MRI - image analysis and data processing), North Vancouver's Honeywell (programming of process control and stimulation software, and the Toshiba Research Centre in Yokohama, Japan (robot image sensing research). These experiences confirmed his belief that he had made the right choice in career goals. Being so kindhearted and easygoing, Barry made many friends in college. He always stayed close to his family, spending time visiting and travelling together. He stayed in touch with the extended family to which he felt such a deep connection. In order to pursue his robotics research, Barry left Canada in 2008 to join the Vision Lab at Princeton University as a research assistant. At work, Barry was dedicated, determined, and dependable, always going the extra mile, just like his dad. In 2009, Barry was admitted into the Graduate School of Stanford University, majoring in Computer Science with a focus on artificial intelligence. Here he excelled, benefiting greatly from his mentor and friend, Dr. Fei-Fei Li. In the sunny California Bay area, he enjoyed close relationships with friends and relatives. It proved to be the most brilliant and productive period of his life. Barry wrapped up his second research paper on time in June, 2010. In good spirits, he packed up and headed out to Southern California for a family vacation. It was June 8. On the highway near Fresno, a fierce gust of wind caused him to lose control of the steering. As if at the end of an exuberant symphony, his life suddenly came to a full stop. He left us when his light shone the brightest. He was 25. Good afternoon, we are here today to mourn the loss of a young life, Barry Chai, a son, a brother, a friend, a classmate, and a decent young man, his demise is an irreparable loss to all of us. Even more certain than tax, we know death is probably the only thing guaranteed in our life regardless of who you are or where you're from. The inevitability is not the issue here; it is the untimely loss of a young life that deeply troubled us. I am Jyanwei Liu; I'd like to say a few things about Barry and his family. I get to know Barry and his family through my wife. Barry's mom Christine was my wife's roommate in college and my wife was her bridesmaid. My wife and I moved to Bay Area in early 90's after finishing our graduate study, around the same time, in searching for a better educational environment, Barry's parent brought him and his sister to Bay Area from Taiwan to spend one semester, to try out in an elementary school in Sunnyvale. Barry was in 3rd grade at the time, he was a handsome boy full of energy and with good manner. My wife and I spent several weekends playing with him and he was very happy, busy in exploring the new environment, I remember the day when they about to leave Bay Area, we can tell Barry is already missing us, he said it all on his face; we like him so much and we know we will miss him too. Their family settled in Vancouver, Barry came back to visit us in his sophomore year in college, we were delighted to see a handsome boy turned a handsome young man, still full of energy and still with very good manner. Probably more mature than his same age peer, he asked us many questions of career development and seems very conscious about his study and his future. The last time we see him was in March this year in Menlo Park, we had a dinner with him and his parents; again he asked us a lot of questions about career development, the relevance of pursuing either Ph.D. or master degree with respect to his career development, pros and cons about taking industry or academic job, government or private sector. My wife and I shared our graduate school experience with him and what we learned in our career, the good, the bad, and the ugly; not to scare him (nothing seems to scare him anyway) but to prepare him. That was a wonderful two hours spend with him, a decent young man full of optimism, planning and dreaming of his future. What conversation can be more pleasant than that? My wife's nephew is coming to the US in July to pursue graduate study, she was planning to invite Barry over to interact with him and be an inspiring role model for him. All of this planning ends when we learned the unthinkable last Saturday. We struggled to comprehend why God allow this to happen and we know no words are kind enough to comfort parent's sorrow. Still, Ted and Christine, please accept our hearty condolences at this difficult time. You brought up a very good young man and you should be proud of yourself. The physical part of Barry ceased to exist, we all miss him very much, but the spiritual part of him continues; Barry is in a better place. We pray God to give you and the whole family strength.